Learn how to integrate Personalizer with Fablet. You will need to add a LimeSpot key into Fablet to integrate LimeSpot Personalizer with Fablet. To find your LimeSpot key, go to your LimeSpot admin panel. 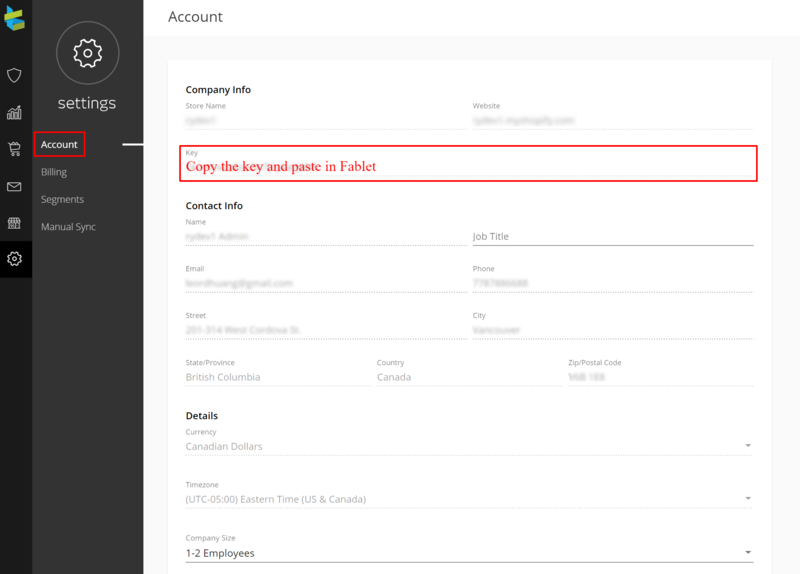 Under Account's Company Info, you will see a field called Key. Copy the key and paste it in Fablet's field for LimeSpot key. If you have any questions, email our support or chat with us.